Summer is the perfect time to go swimming. 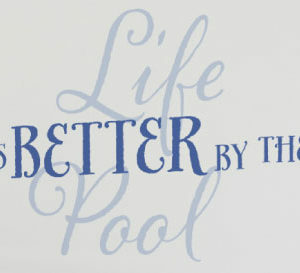 Spending a lot of time in the pool does become a reality when the temperatures soar! 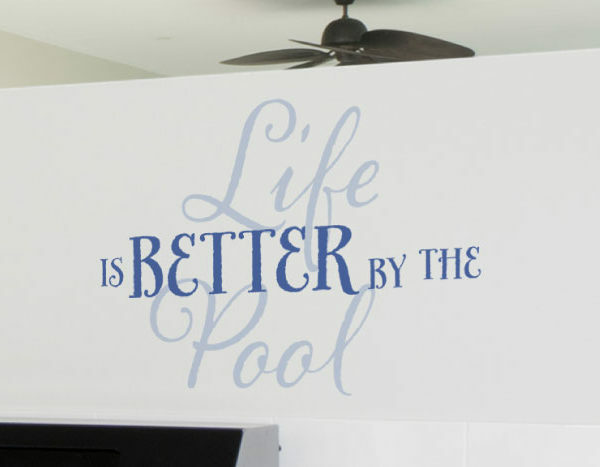 ‘Life is better by the pool’ wall letters do sum up where most people spend their days during this time. It is the perfect place to cool off. 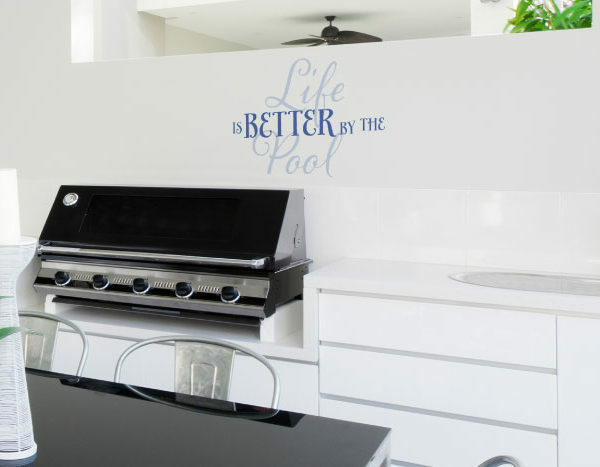 As shown in the photograph, the wall lettering looks great in the kitchen that has a seaside theme. The green potted plant on the glass table and the white walls do remind one of the white sandy beaches dotted with green plants here and there. The wall words are above an opening in the wall that enables one to view outside and be part of the activities. The huge green tropical plants visible through the gap do encourage one to get out into the sun. It is an invitation to swim in the pool or pass the day there. 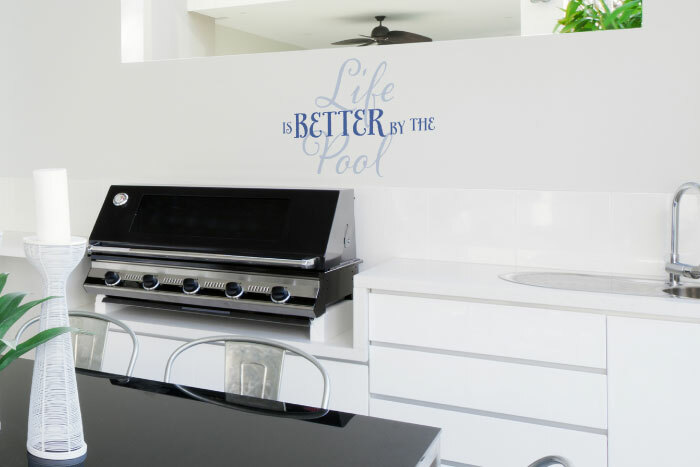 If you are looking for great wall decor that looks good, is affordable and suitable for summer then have a look at DecorativeLettering wall decals. 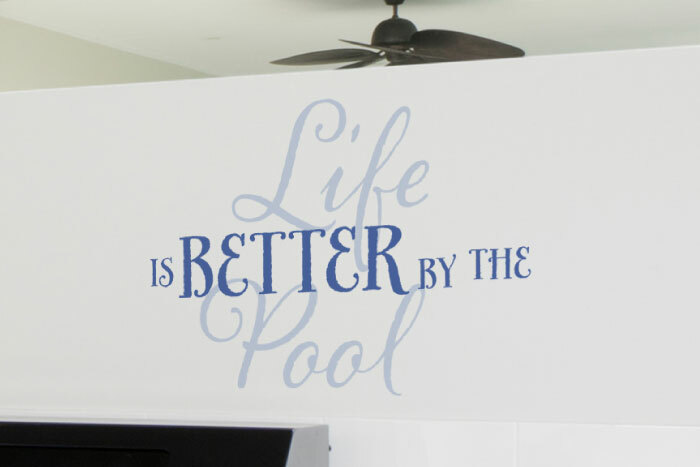 Our designers are very experienced and work hard to make sure you end up with wall lettering that you will love and enjoy for a long time. The wall quotes are pre-spaced so that the application process is easy. It does not take a lot of your time to put them up. They are easy to maintain. We would love to make your wall decorating dreams come true. Do call or email!